Mitsubishi is to preview how its future design direction and electric drivetrains could work with a new SUV coupé concept at the Tokyo Motor Show next month. 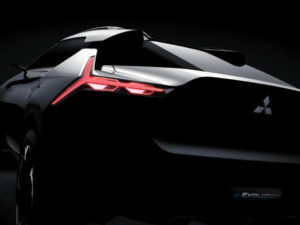 Teased in advance of the show, the e-Evolution Concept bears a four-wheel drive electric drivetrain and would also use Artificial Intelligence technology. Although Mitsubishi didn’t signal any plans for production, it added that the concept, which revives the Evolution moniker, signals the start of a new era for the brand which will see “long-term growth and sustainable development”. Mitsubishi joined the Renault-Nissan Alliance in October 2016. The company produces the Outlander PHEV, the UK’s best selling plug-in hybrid SUV – popular with fleets due to its on-paper low emissions and fuel consumption.